Addiction is more common than many realize. Excluding tobacco, over 20 million Americans over the age of 12 have an addiction. This can be tough to deal with, and many people need help to recover. Unfortunately most people don’t get the treatment they need. The good news is that the wearable tech industry is developing solutions for those who require a helping hand. There are options out there for a wide range of addictions. If you need to kick your habit once and for all, these devices can help. Trying to quit smoking is a little easier with smoking bans in public places coming into effect around the world. But it can still be tough to break the habit. The Stop Smoking for Wear app is a smartwatch app designed to help you quit. It tells you how many days it has been since your last cigarette, how many you would have smoked during that time, and how much money you have saved. Having a reminder of these things on your wrist helps when you are tempted to reach for that cigarette. There lots of other apps out there you can use as well. There are also some – hardware – options in the works. Researchers from the University of Taiwan are looking at “smart tooth” technology. This oral implant will be able to detect what you are eating and drinking, and also sense if you are smoking. It could be used to help quitters when it becomes available on the mass market. Similarly, Chrono Therapeutics are developing a wearable which delivers nicotine directly into the bloodstream. This helps to slowly wean smokers off nicotine by giving them doses at the points where their cravings are strongest. This is purported to be a more effective solution than nicotine patches, and can be removed once the addiction has been beaten. The device is currently in Phase 2 clinical trials and pending submission to the FDA. Finally, Kiwi Wearables are proposing the use of a gyroscope in a smart watch. This device would detect the movement of putting a cigarette to the mouth and smoking it, and would give feedback on how often and at what times you have been smoking. There may soon be a wearable device to help wean users off cocaine and heroin, though the concept is still in development. Researchers are working on a biosensor device to track physiological reactions such as heart rate increase to determine when a person is taking drugs. This can be used to create accountability. Rather than relapsing without witnesses, the addict will have a doctor or counsellor monitoring his vitals information and thus knowing when they have fallen off the wagon. It may seem odd, but there is a piece of tech that can help you get overcome your tech addiction. Pavlok is a wristband that has been designed to stop you from overusing your other tech and devices, such as your smartphone or tablet. It helps you to set goals and change your habits, with positive reinforcement if you manage to stay on track. Fall off the wagon and check your notifications one too many times, and you will be penalised. You might get an electric shock, or public messages posted on your Facebook page saying that you have spent too much time online. You can also use the vibrate or beep stimuli if zap is not right for you. The electrical stimulus is carefully designed so that it is enough to be uncomfortable, but not so strong that it hurts. It’s a lot like a static shock you get when you touch a doorknob after rubbing your feet on the carpet. Pretty soon, your brain associates the stimulus with the bad habit, creating an aversion. 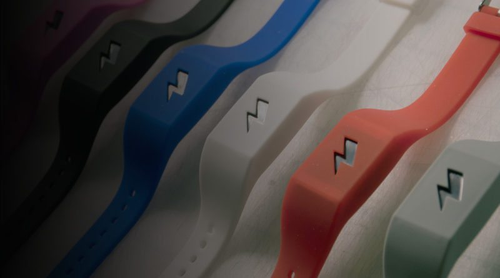 Pavloc says its wearable can be trained to help you overcome a host of other bad habits as well. This includes: smoking, swearing, overeating, hitting snooze, lack of productivity, all work and no play, snacking, hair picking, skin picking and procrastinating. The studies so far have been done with wristbands. However, as we move away from the wrist, solutions could be found that monitor a wider range of reactions and are not so easy to remove or fool.